Super Lemon Haze is a multiple award-winning very tasty strain with a very good productivity and highly potent product. This crossing of Lemon Skunk and Super Silver Haze perfectly combines the most desirable traits of its parents. The plants tend to grow quite tall and exhibit Sativa-like leaves, but the internodal distance is not too big. 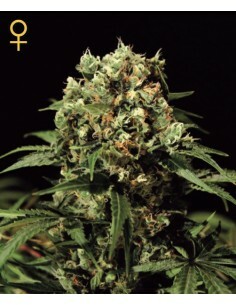 Kalashnikova of the Green House Seeds Company is a hybrid created from two of the most successful strains at the international level such as Ak47 and the marijuana White Widow . Kalashnikova responds nicely to pruning and branches very well, making her a perfect strain for cultivation in SOG and ScrOG setups. Can produce 1kg per plant. This blend of Great White Shark, South Indian and Super Skunk is an extremely good yielder and produces highly potent weed. The plants perform great in SOG and ScrOG setups and have the potential to deliver up to 800g/m² after only 8 weeks of flowering. Outdoors it is possible to obtain 1.2kg per plant. 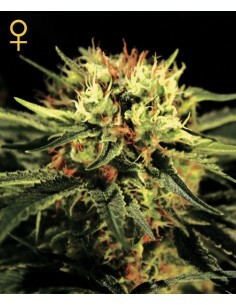 The iconic Feminized Jack Herer is a new Green House Seeds strain. Jack Herer has been one of the most awarded varieties and has become a classic in self-growing gardens. It comes from the crossing between HAZE and RED SKUNK. Super Silver Haze CBD is a mostly sativa strain created by crossing genetics from Super Silver Haze and a high CBD parent. The average THC to CBD ratio of Super Silver Haze CBD is 1:1, however it is also possible for certain phenos to yield a higher ratio of CBD. White Rhino is obviously dominated by Indica influences and grows up to a short, round and bushy plant with strong branches. Despite the small stature she has the potential to yield up to 900g/m² in an indoor setup, respectively 1.2kg when grown outdoors. The Big Bang feminized cannabis strain from Green House Seeds is a hybrid of indica dominance, with a long-lasting relaxing physical effect, recreational and medicinal uses (in the Netherlands it is sold by prescription in pharmacies). Big Bang grows with great vigor and is a very productive plant, both in indoor and outdoor crops. The first and most important distinction to be made is the choice between growing outdoor or indoor. Once the decision is made, it is important to get the right type of seeds for the purpose. Most cannabis plants can be grown indoor or outdoor, but the peculiar characteristics of each strain always guarantee best results in one of the two ways. The personal or commercial nature of the operation will always influence the choice of the genetics. Sativas are usually regarded as higher quality, while indica strains are faster and more commercial. Between the over 20 strains now sold by the Green House Seed Company there are true indoor champions and true outdoor champions. The Himalaya Gold is the most recommended outdoor plant, because of its genetic resistance to cold nights, altitude, pests and diseases. The origin of the plant is from the Himalayan region, and it proved an incredibly versatile and adaptable plant. Growers in the mountain regions of Italy and Spain love the Himalaya Gold for its high yields and sweet strong indica characteristics. 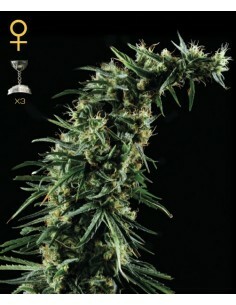 Another true outdoor champion is the Arjan’s Haze # 1, with great production and unique sativa high. The Arjan’s Haze # 1 performs very well indoor, but outdoor the plants can grow to reach their development-peak and the maximum productivity. Moreover, solar light activates the production of a wider range of cannabinoids in the buds, guaranteeing a truly psychedelic effect. Besides, it finishes flowering in 11 weeks, allowing cultivation in most southern European countries. On the indoor side, the best plants of the Green House Seed Company are Great White Shark, White Rhino, El Nino and the White Widow. All these strains belong to the “white” family and share a common genetic origin. 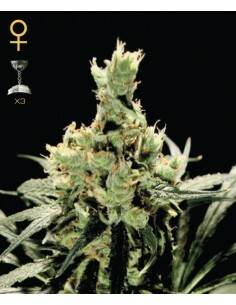 They are shorter, bushier plants with great bud production and amazing resin production. The bouquet and taste vary considerably, as well as the effect. The White Rhino in particular is very suitable for Sea of Green systems, where the plants are kept very close to one another and flowered at an early stage. It has a sweet taste and a great narcotic effect that made it popular with MS patients and chronic pain patients. The Great White Shark and The Doctor are very popular between indica lovers worldwide. Their yields are amazing and the buds rock-hard. The Hawaiian Snow, the Strawberry Haze and the Neville’s Haze are good outdoor or indoor plants, but are mostly grown indoor because of their longer flowering time. Sometimes these varieties are given 12 hours of light from the very beginning, to keep them short and to shorten the flowering time. These are high-grade sativas, with an uplifting high and a very woody earthy flavor. There are also plants that are very suitable for both indoor and outdoor conditions, such as the El Niño, the Alaskan Ice, the K-Train and the Super Silver Haze. These strains will perform incredibly good both ways, with some differences in plant development and yield. The Super Silver Haze in particular can produce more when grown outdoor, as the plants can develop taller and stronger branches can sustain the heavy buds. The choice of the genetics remains one of the key factors in the success of every grower or breeder, and it is very important to acquire the most information before committing to the task.